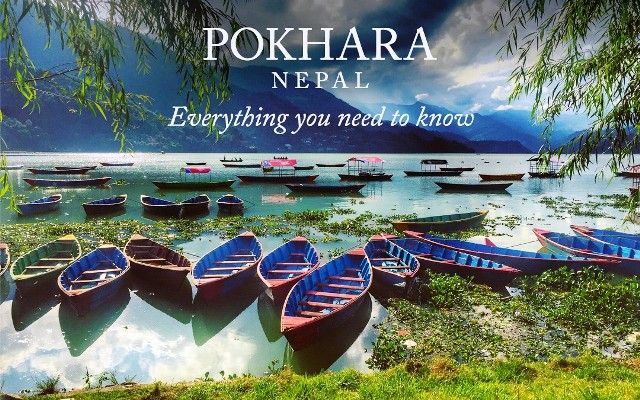 12 Interesting facts about Pokhara | OhFact! 1. The city of lakes! 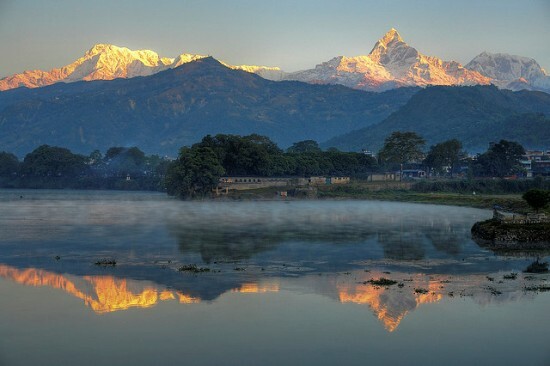 Pokhara is also known as the City of Lakes in Nepal due to the picturesque lakes situated among the snow-clad mountains, surrounded by lush greenery. 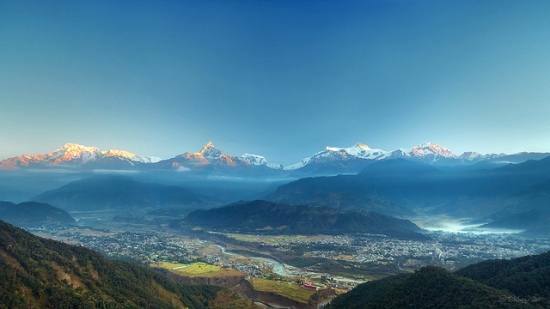 9 lakes surrounded by more than 20 beautiful mountains make Pokhara the ultimate tourist destination. It had always been the best place for tourists who want to distress. 2. The lake of lakes! 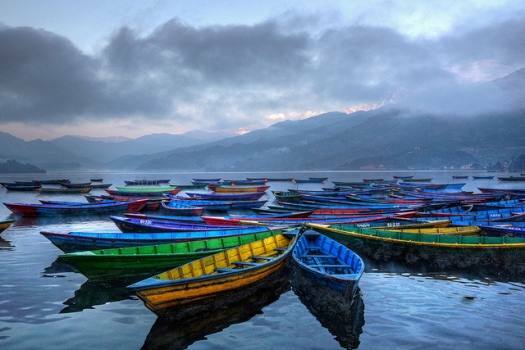 There may be many lakes in Pokhara, but the center of attraction is the Phewa Lake which is locally known as Phewa Tal. Sailing in beautiful brightly painted wooden boats on the Phew Tal with the backdrop of the enchanting mountain will always give you some unforgettable memories. 3. A temple like a painter’s dream! 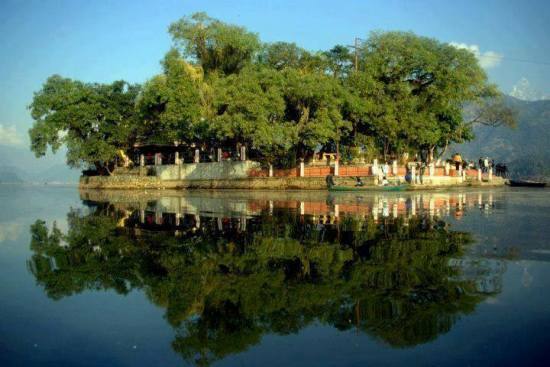 A temple built in the middle of a lake can be any painter’s dream scene. 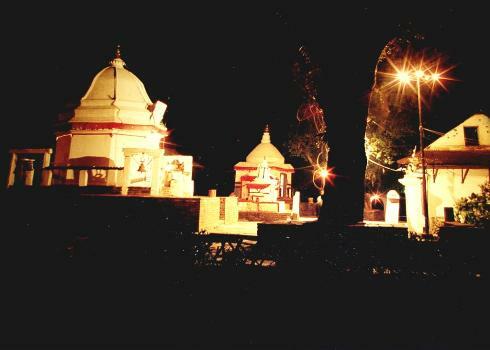 In real life, you can see this beautiful set up if you visit the Barahi temple situated in the middle of Phewa Lake. This two storied pagoda is built in honor of the protectress deity, Ajima. Locals sacrifice animals and fowl on Saturday in this temple. 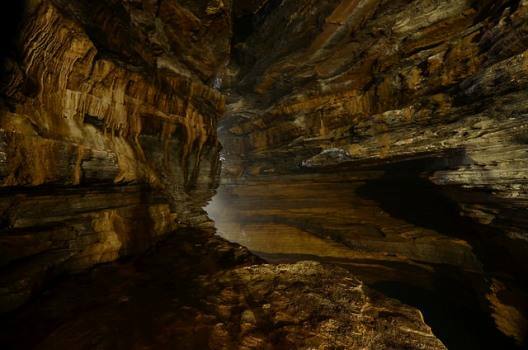 Mystical caves such as Mahendra, Gupteshwor, Sita, Crazy, Chamero, Crazy and Devil’s Fall add to the beauty and mysticism of this place. There are many naturally shaped stones in caves which are worshiped by the locals. 5. Just like a painter’s canvas! A city surrounded by snow clad hill top is bound to provide a spectacular sunrise to the visitors. 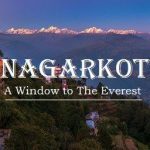 If you are visiting Pokhara then for one morning say Bye Bye to your sleep earlier than usual and visit hills like Sarangkot hill, Annapurna Range, Dhaulagiri Range, Manaslu Range or any other to relish the natural wonder when the first ray of sun hits the mountains. It’s an experience which can never be described in words! Lakes, Mountains, Caves… the only thing left is a beautiful waterfall. Pokhara fulfills even this wish of ours by giving us the scenic Devi’s Fall. 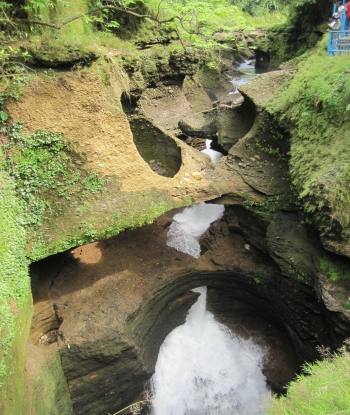 It is locally known as Patale Chhange which means Hell’s Fall. Just 2 km away from the Pokhara airport this fall has a legend. 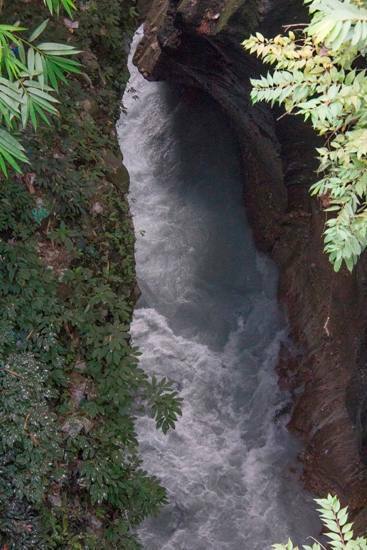 Its said that once a foreigner named David was in Pardi Khola river, skinny dipping. Suddenly flood gates were opened and he was swept away into the underground passage of the fall and no one had ever seen him again. Hence, this fall is also known as Devin’s or David’s fall. 7. World’s fastest, steepest and tallest Zip Flyer! All you adventurers out there who want to give their heart some nerve-racking thrill, look no further. Go Zip Lining whenever in Pokhara as it is the most extreme zip flyer. How? 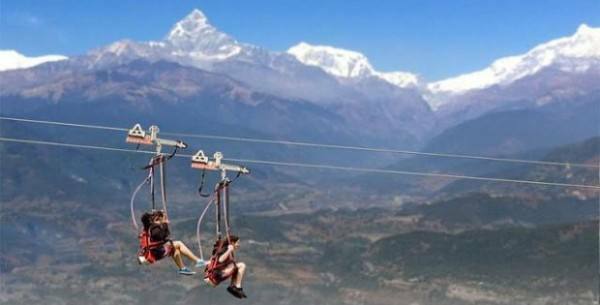 The Zip Flyer in Pokhara is world’s fastest, steepest and tallest in the world going at maximum speed of 120 km/hr, with a vertical height of 610 meters and covering a total distance of 1.80 kilometer. I can feel your heart racing. 8. When in Pokhara, do not forget trekking! What can be a better place for trekking than a place filled with greenery and surrounded by mountains! Trekking should always be done in the city situated in the lap of Himalaya, Pokhara. 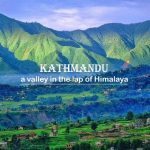 Join a trekking group or go trekking with your family and loved ones to the Annapurna, Sarangkot, Dhampus, Kahun Danda or any other place of your choice. Each region is bound to fill you with both aroma and experience of its own. 9. The City of Museums! 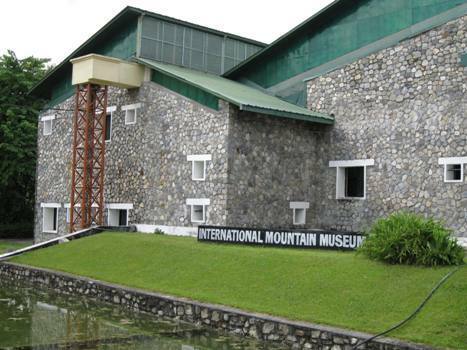 Another attraction of Pokhara is the long list of Museums. Some of the famous museums are Pokhara Regional Museum, Annapurna Museum, International Museum and the Gorkha Memorial Museum. 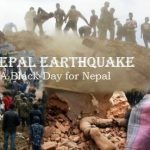 Each of them contains a bit of Nepal’s uniqueness. 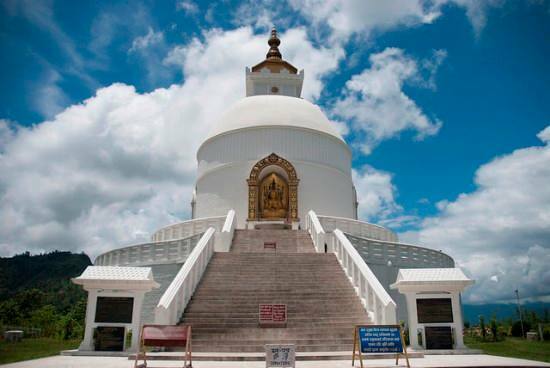 Situated on a hill top on the south of Phewa Lake is the World Peace Pagoda. Just like the name the peace pagoda is completely white in color and adorned with four images of peaceful Buddha facing all four directions. World peace pagoda is a perfect place to visit after some nerve wreaking adventure on the Zip Line. Seti is the vanishing river of Pokhara. It goes underground and is nowhere to be seen at many places along its route through the city. 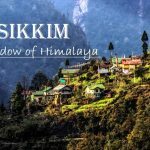 There are points where the river is hardly 2 m wide but surprisingly has a depth of 20 m.
The old Bazaar, 4 km away from Phewa Lake is home to, the Bindhyabasini Mandir, an important shrine with a white dome-like structure atop a hill. In contrast to the Lakeside Pokhara, the old Pokhara Bazaar is a traditional yet colorful gathering of an ethnically diverse group of traders. 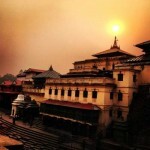 The temples and monuments resemble the Newari architecture of the Kathmandu Valley.